Shiksha would like to give women in Sangam Vihar, New Delhi, the opportunity and resources to empower themselves. We have been running a free Vocational Training Center there for over 7 years. Our sewing machines are in dire need of upgradation for our students. We would also like to be able to provide our graduates who are interested in opening shops or working in self help groups with sewing machines. Sangam Vihar is the largest unauthorised colonies in India. Its population is made up primarily of poor migrant labourers and their families from all over India. Shiksha has been operating a vocational training center in Sangam Vihar in cooperation with the Guru Hargobind Singh Sahib Gurudwara, B Block, for the past seven years. Anju had been living in meager accommodation with her four member family in Sangam Vihar for the last 10 years. Her husband works as a driver in a private company, but even on his salary they find it difficult to provide for themselves and their two children. Although she has passed Class X, she does not have access to gainful self employment or skilled wage employment. Anju had previously wanted to supplement her family income but did not have any clear way to pursue her goal given the responsibilities of caring for her two children. Through her neighbor she heard about Shiksha's Vocational Training Center located at Kalikdhar Gurdwar in B-Block of Sangam Vihar. Since it was in her locality and had convenient timings to attend the classes she decided to enroll in Shiksha's tailoring course. 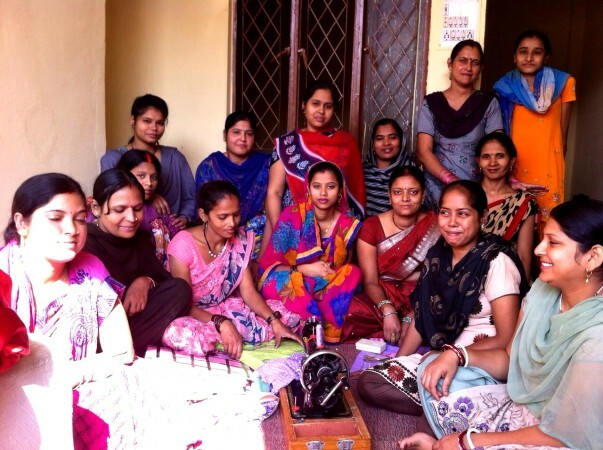 After six months she successfully completed her coursework and with the guidance of her instructor she was then motivated to start a small shop in her house, and now many residents from the community come to her for their tailoring needs. 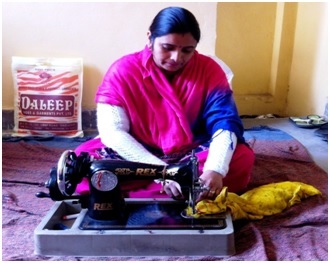 With access to gainful self employment Anju can now contribute to her family's livelihood. We are fundraising for the purchase of new sewing machines with stands and foot pedals for the women to learn on. Additionally with your support we will be able to provide sewing machines to some of our students upon their completion of the course to aid them in developing their own income stream. Ten Machines will be used at the training centre. The remaining six machines will be gifted to graduates who are interested in opening shops or working in self help groups with sewing machines to increase the impact of the course.